Creating a beautiful home is only worth it if you and your guests want to spend time in it. One of the most important parts of creating a happy home is making it warm and welcoming, a sanctuary you'll never want to leave. 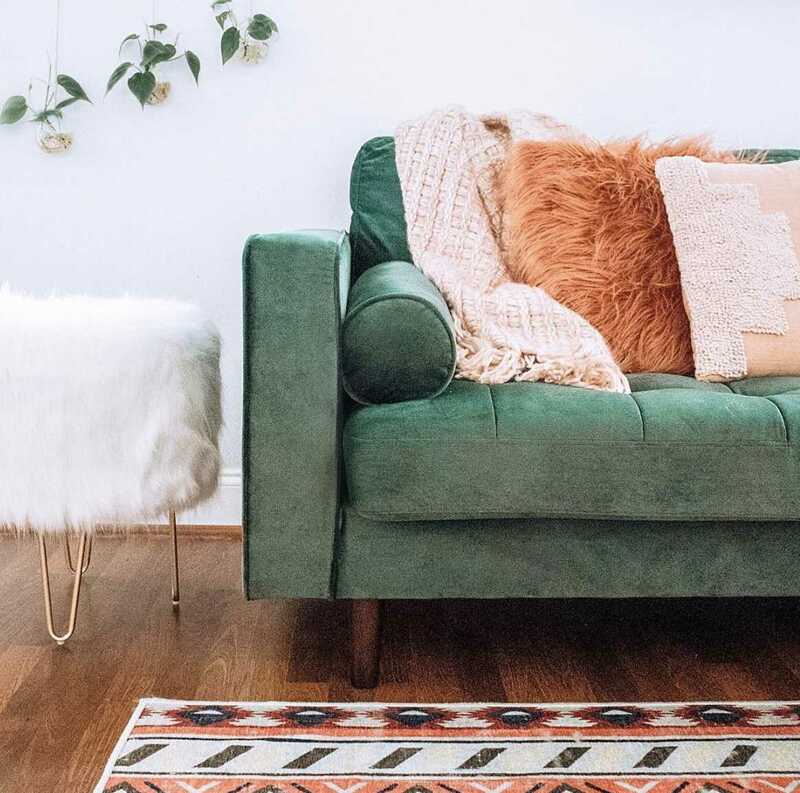 From cozy layers to eye-catching textures, there are a few easy ways to make your house feel like a home. Here are eight tricks to create an intimate abode. When it comes to your home, textures that draw you in and make you want to touch them help create that coveted sense of coziness. This warm living space from Ashley Solberg features many different textures that draw in the eye and add an instant dose of personality. From shaggy throw pillows to velvet couches to knit throws, mix and match textures that are appealing to the touch. Too many different fabrics can look busy, so aim for three to four textures in each room. A rug is a great way to tie a room together and create visual interest. Though you can find cheap rugs at many big box stores, a higher-end woven rug like this one Devon Hosford used in her home will feel luxurious underfoot and won't fray at the ends. If a room feels sparse or sterile, spending money on a well-made rug will add instant character and help complete the look. Sure, every bed needs a comforter and sheets, but you can make your bedroom feel extra cozy by layering multiple blankets and textures, as seen in this bedroom setting from House in the Middle. Instead of a single warm duvet, consider investing in a few throw blankets that can be layered and removed depending on the season. 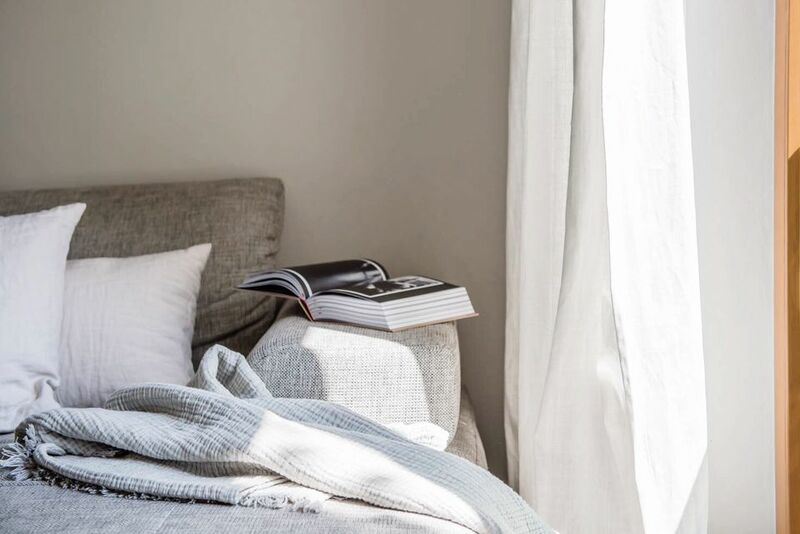 Think about the last time you were in a furniture store and were instantly drawn to the bedding displays—layering blankets and sheets is a designer trick to create a more inviting and appealing bed. Indoor plants are one of the easiest (and most affordable) ways to make your home more livable and inviting. Even if you've got a black thumb, there are many indoor plants that are hard to kill, even for the most novice home botanist. If you're not ready to create an indoor jungle, like in this space from Dun's World, invest in a few plants for your bookcase or empty corners. Look for unused white space and add a little greenery. If your home is still sporting cheap prints or even worse, no wall art at all, spend some time channeling your inner museum docent and opt for more significant pieces. Whether you find a local artist you love or you just pick more meaningful art from the big box stores, upgrading your gallery wall like this one Agi at 59 curated, can be a great way to create a more inviting space. Sure, mismatched plates and bowls can be boho chic, but if you want to upgrade your dinner parties, invest in a set that looks cohesive and unified. Next time you host a dinner party, a few matching pieces can make your dining room feel a little more designer and a little more homey. Even cheaper IKEA furniture can look expensive with a few hardware swaps. You can find crystal knobs and eccentric pulls at your local hardware store. Don't be afraid to mix and match and create a unique piece that's customized to your own tastes. This cheap and simple fix can transform outdated dressers and old doors, and make your home feel more intimate. Fresh flowers or even dried twigs can add instant charm to your space and help a house feel more lived in. Invest in a few decorative vases and jars and make your own arrangements to place on countertops, coffee tables, and dressers throughout your home. Many designers swear by fresh flowers and never entertain without a fresh bouquet. Pets can be the best way to make your home a place you never want to leave. If you've been considering adopting a new friend, think about all the memories you'll have in your home. Sure, you may lose a few shoes along the way, but the love you'll receive in exchange will make your home the coziest place on the block.